Notes: North Walsall was situated on the 8-mile Wolverhampton & Walsall Railway (W&W) which was authorised on 29 June 1865 and opened on 1 November 1872. The W&W was the first direct line between Wolverhampton and Walsall, and it was operated by the London & North Western Railway (LNWR) and the Midland Railway (MR). At Wolverhampton it connected to the LNWR high level station and at Walsall to the LNWR Birmingham and Lichfield line at Ryecroft Junction. As its name suggests North Walsall station was located to the north of the town in a cutting on the west side of Bloxwich Road, which passed over the line on a bridge. The W&W was a double-track railway, and the station was provided with two platforms. The main facilities were located on the down (Wolverhampton direction) platform and they were approached via a road that connected to Bloxwich Road. On the up (Walsall-bound) platform, which had a footpath connection to Bloxwich Road, there were waiting facilities. The station did not handle goods traffic. When the station opened it was served by trains between Wolverhampton High Level and Walsall. The passenger services were operated by both the LNWR and the MR. In 1875 the LNWR bought the W&W but in 1876 they sold it to the MR. The MR was interested in the W&W as a means of reaching the important manufacturing town of Wolverhampton. On 6 August 1872 the Wolverhampton, Walsall & Midland Junction Railway (WW&MR) was authorised to build a line between the MR Birmingham and Derby line, east of Castle Bromwich, to the LNWR Birmingham and Lichfield line at Walsall (Ryecroft Junction). The MR was a supporter of the WW&MR scheme and in 1874 it absorbed the smaller company. The authorised route also included a direct link to the W&W that ran to the north of Ryecroft Junction and formed a junction with it at North Walsall, allowing trains to run direct between Wolverhampton and Castle Bromwich (Birmingham direction) or Water Orton (Derby direction). The North Walsall junction was to the east of the station on the east side of Bloxwich Road bridge. 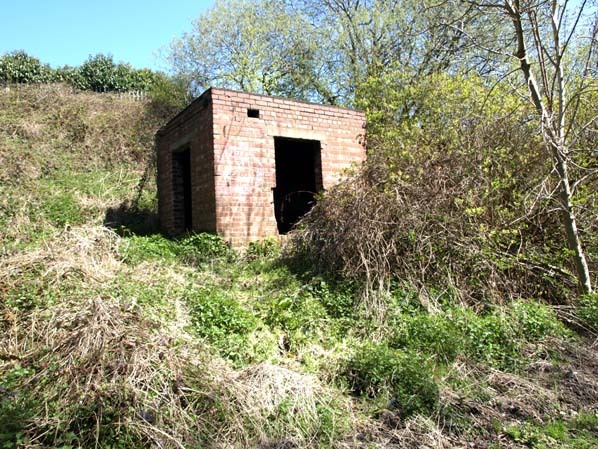 A timber signal box was opened to control the junction; it was on the north side of the line, close to the bridge. The WW&MR line opened on 1 July 1879. From that date North Walsall was served by passenger trains of the MR that ran between Birmingham New Street and Wolverhampton High Level. The passenger trains were not routed via the avoiding line which was used, in the main, by goods services; they ran via Walsall, which involved a reversal in both directions as the town’s station was to the south of Ryecroft Junction on the Birmingham and Lichfield line. The December 1895 timetable showed North Walsall as having seven up and eight down trains on Monday-to-Saturday as shown in the table below. There were three trains each way on Sundays. From 1 January 1909, to avoid a reversal at Walsall, the MR routed most of its services between Wolverhampton and Walsall via the LNWR route through Darlaston. The LNWR had created a route of its own between the two towns on 1 March 1881 through the opening of two connecting lines between existing routes; this meant that North Walsall station was no longer served by the majority of the MR trains. To compensate, some LNWR services were routed via the MR line. This was done so that the LNWR trains did not have to make a reverse move at Walsall - LNWR trains running between Wolverhampton and Birmingham via Walsall also had to reverse there, but in the opposite direction. The 1910 timetable showed only six trains in each direction Monday-to-Friday. There was an extra train in each direction on Saturdays and no trains on Sundays. Two of the trains in each direction were LNWR services. By July 1922 North Walsall had only three trains in each direction Monday-to-Saturday. There were two MR and one LNWR trains to Wolverhampton, one MR service to Birmingham New Street, one to Walsall and one LNWR service to Walsall. On 1 January 1923 the MR and the LNWR became part of the London Midland & Scottish Railway (LMS). The LMS closed North Walsall on 13 July 1925. The station was demolished shortly after closure. A few passenger services continued to pass through North Walsall until 5 January 1931. After that date the former W&W was used only by freight trains and some passenger diversions. The line through North Walsall became part of British Railways (London Midland Region) on 1 January 1948. The former W&W closed as a through route on 28 September 1964 to facilitate the construction of the M6 motorway, which cut through the route at Bentley. The line remained open through the site of North Walsall station from Ryecroft Junction for traffic serving Birchills Power Station. 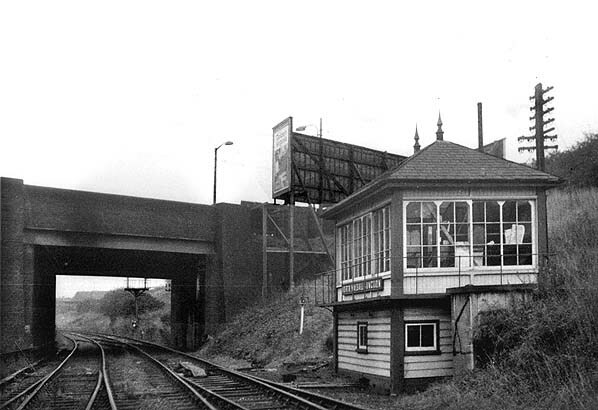 The Walsall avoiding line closed in 1967 along with the North Walsall signal box. Trains continued to pass through the site of North Walsall until May 1980, and the line was lifted shortly after. 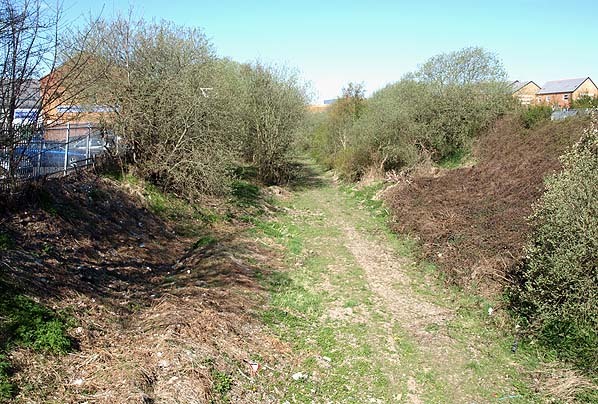 The course of the railway through North Walsall could still be seen in May 2013. The site of North Walsall station looking east in 1951. To the left can be seen the path that connected the Walsall direction platform to Bloxwich Road. Beyond the Bloxwich Road bridge the junction between the direct line to Castle Bromwich and the Walsall line can be seen. North Walsall station shown on a 1902 map. 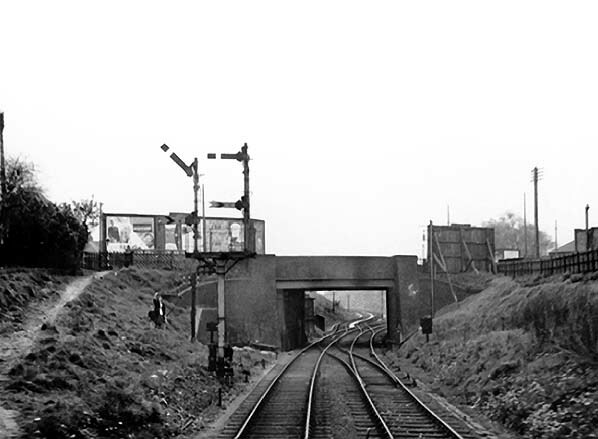 Looking west towards the site of North Walsall station from the North Walsall Junction in October 1965. The station was just beyond the bridge. To the right is the Midland Railway signal box that controlled North Walsall Junction. 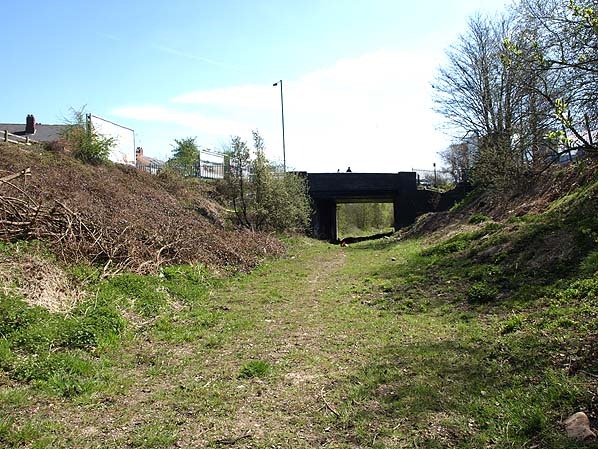 The site of North Walsall station looking east towards Bloxwich Road bridge on 3 May 2013 from a similar position to the 1951 photograph seen above. Looking west at the site of North Walsall station from the Bloxwich Road bridge on 3 May 2013. The mound to the left of the trackbed is where a pipeline has been laid along the course of the line. platform seen on 3 May 2013.